YouTube Comedy Classic: Bottles Beware! Is writing a competitive sport? Last Friday, March 15, thousands of BC students left class and took to the streets to protest global government inaction regarding climate change. 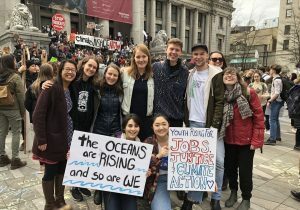 The protest was one of a reported 55 rallies across Canada, joining a global youth-led movement that’s been gaining momentum over the past year. The students came from all age groups—post-secondary, high school, and even elementary school. 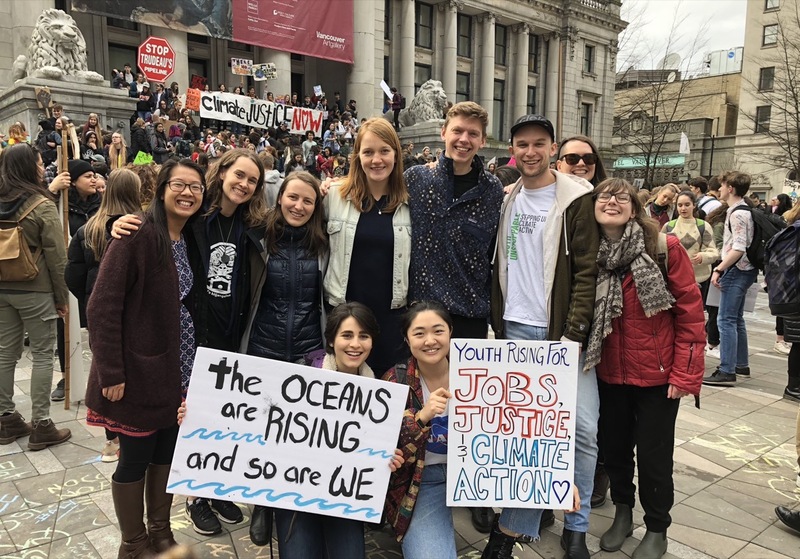 The global Climate Strike movement began with 16-year-old Swedish activist Greta Thunberg. Greta Thunberg, then 15, started her protests last August, refusing to attend school until the 2018 Sweden general election. She spent her school days sitting in front of the Riksdag, the Swedish national legislature, with a sign that read “school strike for the climate” in Swedish (“Skolstrejk för klimatet”). Her hope was to pressure the government to keep in accordance with the Paris Agreement and reduce carbon emissions. After the elections, she continued her strikes every Friday. Her actions caught the attention of students across the globe. 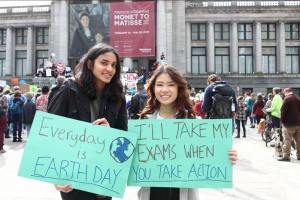 By December 2018, more than 20,000 students in at least 270 towns and cities worldwide had joined her cause and taken similar actions. Thunberg took action after Sweden’s disastrous drought last summer, resulting in wildfires exacerbated by unusually high temperatures across Scandinavia. It was the country’s worst drought since 1944. The extreme weather patterns in Sweden seem to be part of a global trend. The California drought and wildfire season last year was the worst on record for the state both in land and lives lost, resulting in 766,439 hectares burned and 104 fatalities. We are now facing the very real, very present consequences of global climate change, and we don’t have much time to act before the damage to the environment will change life as we know it for good. Last year, the UN issued a dire warning that we only have about a dozen years left to change our current industry practices to keep global temperatures from rising above two degrees Celsius. It’s a grim reality to face for adults—even more so for the children, teenagers, and young adults set to inherit the world in whatever shape it’s in 12 years down the line. However, in the face of the overwhelming odds, students are choosing to make their voices heard. 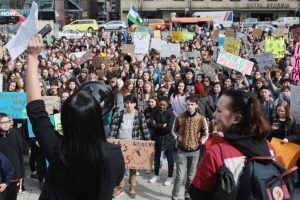 The BC protests took place in front of the Art Gallery in downtown Vancouver and the provincial legislature in Victoria. 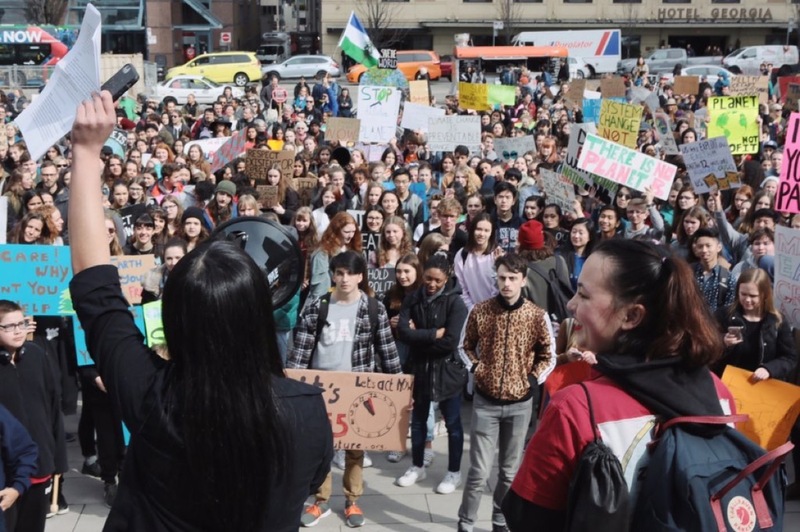 Many students were accompanied by supportive parents and guardians, as well as other adults who wished to show their solidarity with the youth. It’s a bird! It’s a plane! It’s… a girl? The Other Press has been Douglas College’s student newspaper since 1976 published weekly during the fall and winter semesters, and monthly during the summer.